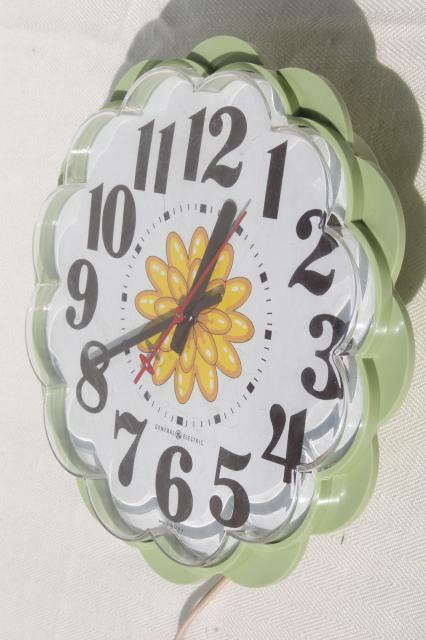 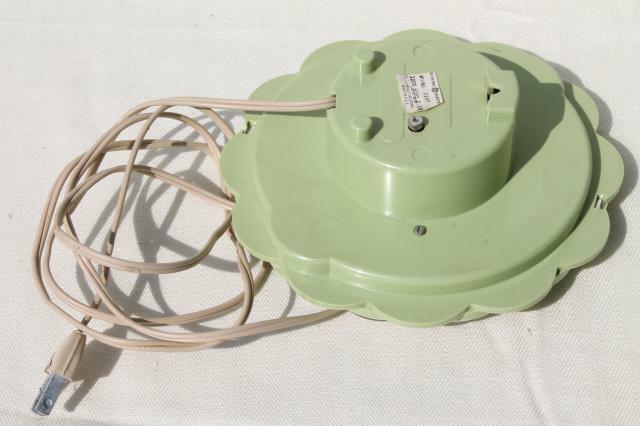 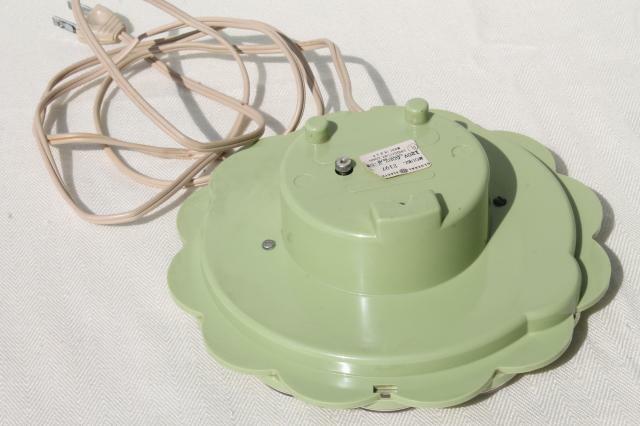 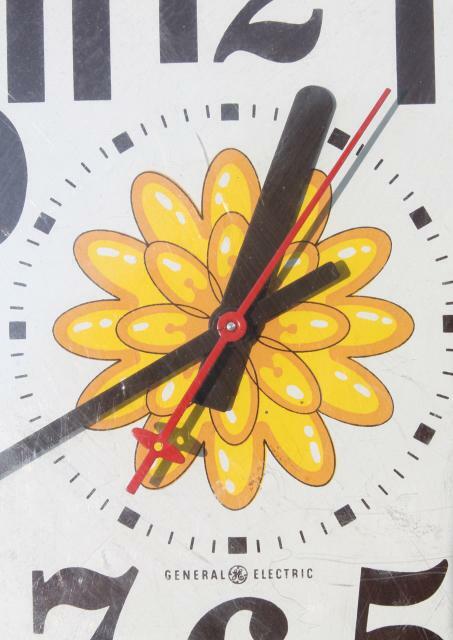 70s vintage General Electric wall clock, cute plastic flower shape about 7" in diameter. 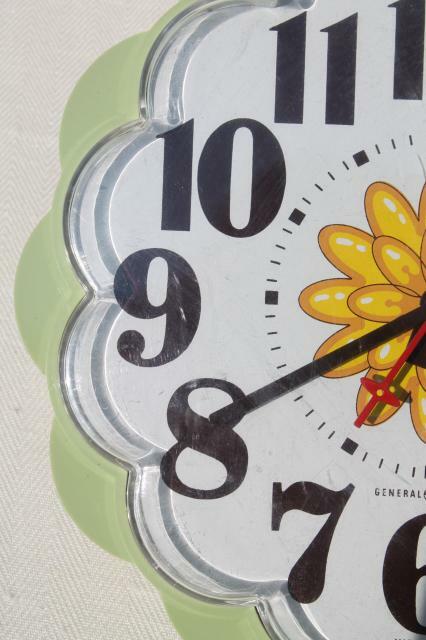 This is nice and clean with very little yellowing or scratching. 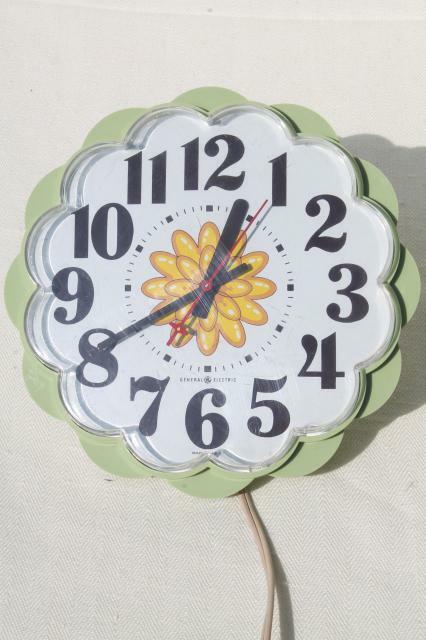 This is an electric clock, made to plug into a wall socket. 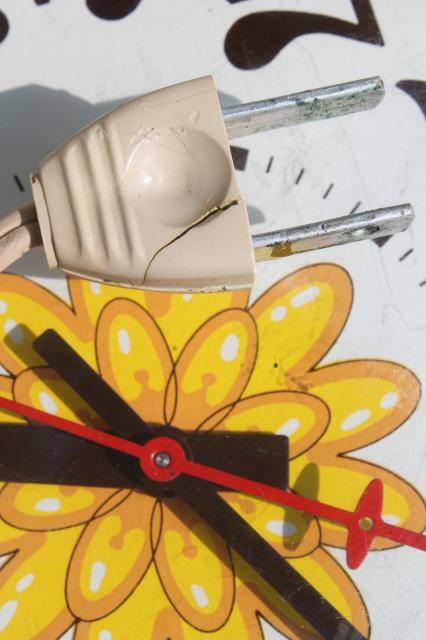 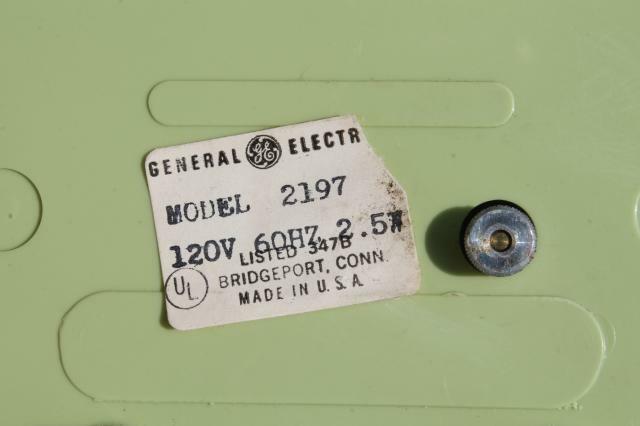 The plug is badly cracked and will need to be replaced... we've left it just as found, and have not tested the clock as it's not in usable condition as it is.